Hello everyone! I’m on my honeymoon this week and asked a few blogging friends to share some guest posts with you. 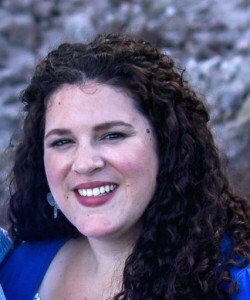 Today I’m excited to introduce Cristina of I Say Nomato! 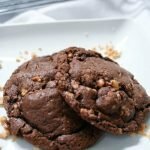 She is one of my co-hosts from The Wednesday Showcase and I always love seeing her yummy recipes. You’ll love this one! Hello everyone! My name’s Cristina, and I blog over at I Say Nomato. I’m very excited to be guest posting on A Savory Feast, especially for this occasion! 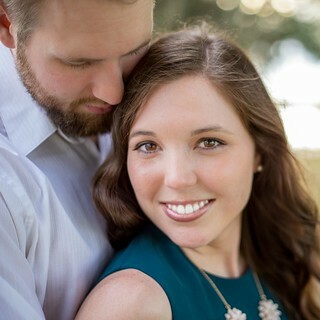 A huge congratulations to Jenna, and I hope you two have a completely fantastic wedding and honeymoon. Don’t forget to just soak everything in and enjoy every second! Fall is one of the most romantic times of the year, it’s perfect for weddings! The trees are so beautiful, and it’s chilly enough for holding hands and cuddling under blankets with mugs of hot cocoa or apple cider. 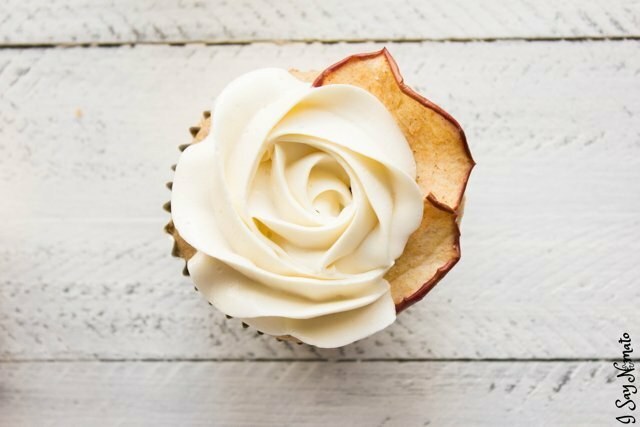 What could be more festive for a fall wedding than these gorgeous, mouth-watering Apple Cider Cupcakes with delicate Swiss Meringue Buttercream? 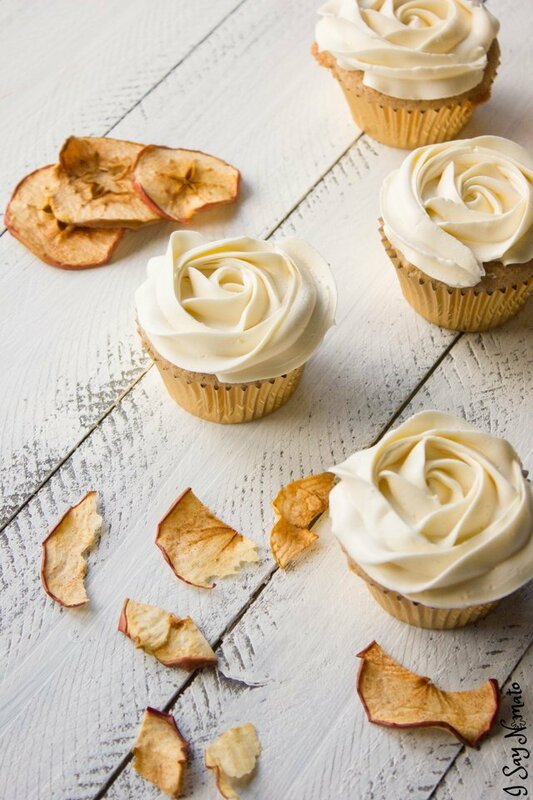 These apple cider cupcakes will blow your mind. 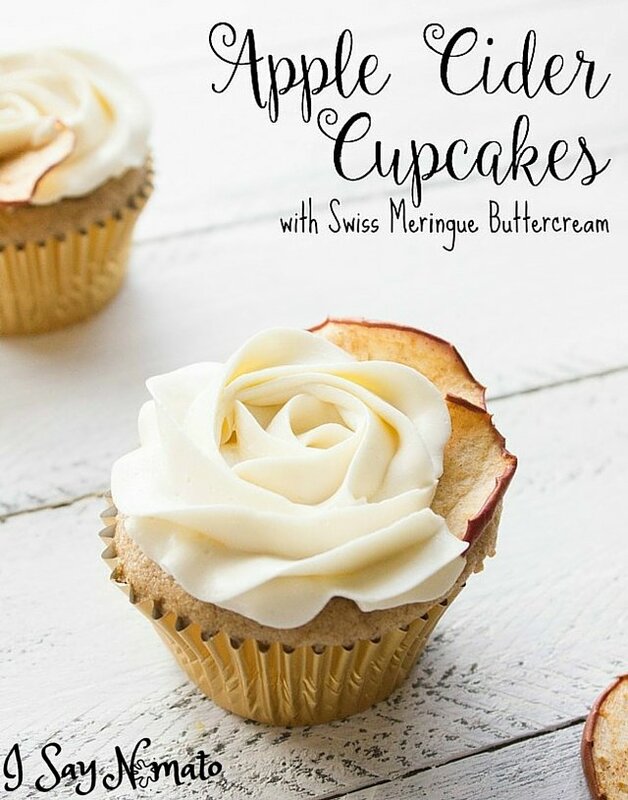 Mainly for two reasons: First, because I don’t know about you, but I generally associate words like ‘apple’ and ‘cinnamon’ with muffins instead of cupcakes. I’ll be honest, my brain had a bit of an issue and I kept calling them ‘muffins’ instead of cupcakes and had everyone in my house generally confused as to what I was ACTUALLY making. And second, because they’re so. FREAKING. AMAZING. Seriously. I mean, I’ve shared cupcakes on my blog before. 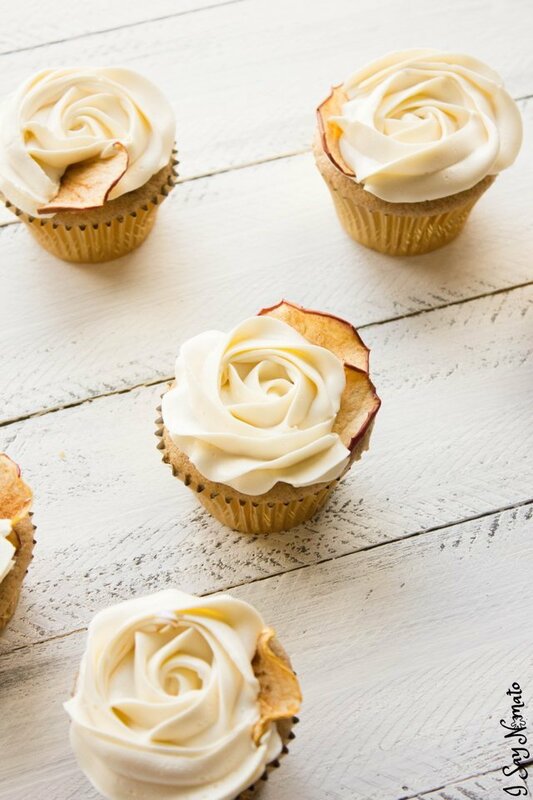 Well move aside Amaretto Sour Cupcakes, because these are so delicate, so incredibly moist and light and overall a completely perfect package that they’re giving my all time favourites a run for their money. I’m going to tell you right now that you must follow all of these instructions very carefully. I mean, I generally know what I’m doing in the kitchen so sometimes I look at a recipe and say, yeah, that looks easy, and then wing it. That was how the first batch of cupcakes ended up looking like doughnut holes suspended in bubbling cider. They were so gross. The second time, I actually followed the instructions and they turned out WAY better! When it comes to the buttercream, again, make sure to follow the instructions, even if they include a sentence like “At one point it will look like cottage cheese, just keep mixing it!” Those instructions do not lie. Trust in the recipe. Recipes are like a marriage. They require a little salt, a little sweet, and a lot of patience and trust! And just like a marriage, when you have the perfect balance of ingredients, it’s pure magic! 1 ½ cups granulated sugar, NOT icing sugar! In a large bowl, mix your dry ingredients: flour, baking powder, cinnamon and salt. Add the eggs one at a time, scraping the sides of the bowl and making sure they’re mixed in completely. Add vanilla. Alternate adding the mixed dry ingredients and the apple cider to the butter and sugar, stirring on low, making sure you’re only stirring them until they’re just absorbed. 1/3 of the dry ingredients, then ½ the apple cider, then ½ the remaining mix, then the rest of the apple cider, followed by the rest of the mix. DO NOT OVERMIX. Give it one last stir and make sure there are no dry ingredients sitting on the bottom of the bowl. 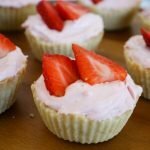 Line your cupcake tray with liners, and bake for about 20-25 minutes. Let them cool completely before you frost them. Rub down your mixing bowl, whisk attachment, and any utensils that will touch the butter cream with a little lemon juice. This will help get rid of any greasy residue that might interfere with the meringue forming! Boil about 1 inch of water in the bottom of a small saucepan, and then let it simmer. Separate the egg whites into your mixing bowl, and add sugar to them. Place the mixing bowl on the saucepan on the stove, so it creates a makeshift double-boiler. Using a hand-held whisk, whisk constantly until the mixture reaches about 160°F. If you don’t have a thermometer, you will know when the mixture is very warm to the touch, and you can’t feel any sugar granules in it anymore. This takes 3-5 minutes – quicker than I thought it would! Remove the mixing bowl from saucepan, and place it in your stand mixer. Make sure your whisk attachment is on, and then beat the egg whites and sugar until stiff peaks have formed, about 5 minutes. The bowl will become cool to the touch! Now the gross – I mean fun part! Set your mixer to low, and then slowly add the butter, one cube at a time. It will take about 7-10 minutes, but it will emulsify into a very smooth, light buttercream. DO NOT BE AFRAID. At one point it will look like cottage cheese, and that’s okay! Add the vanilla at the end and make sure it’s completely mixed in. 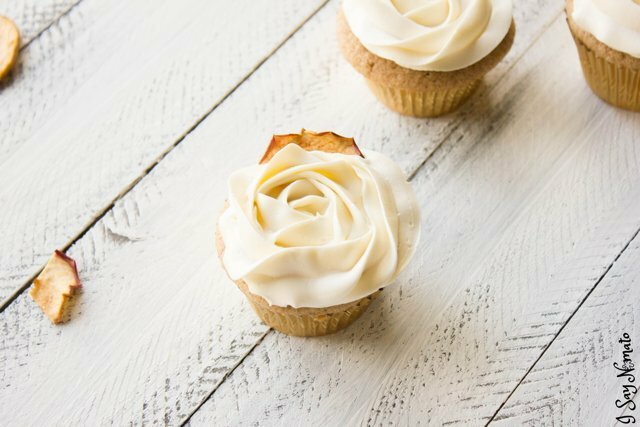 Frost those gorgeous cupcakes and enjoy them! YUM!!! I followed Dessert. Design. 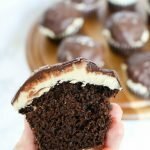 Life’s recipe for the Swiss Meringue Buttercream (she has a bunch of flavour suggestions and progress pics if you are interested in more!) 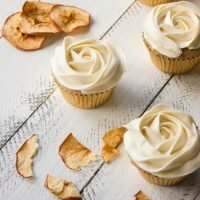 and Laura’s Sweet Spot’s recipe for Apple Cider Cupcakes. 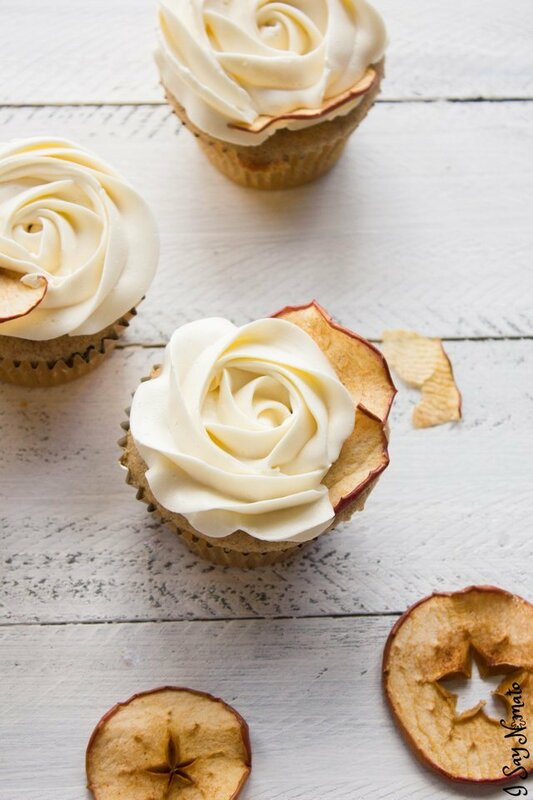 The cupcakes are garnished with gorgeous Apple Chips from Cooking with Carlee. They remind me of rose petals and fall leaves and are just so lacy and delicate. I adore them! 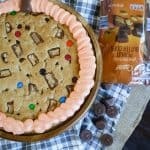 I cannot wait until I have an excuse to make these. They look absolutely amazing. Pinned and definitely making them soon! These are ABSOLUTELY stunning! I can’t wait to make them. Apple cider is one of my FAVORITE things! Cristina did SUCH a good job with these! Don’t they look amazing?